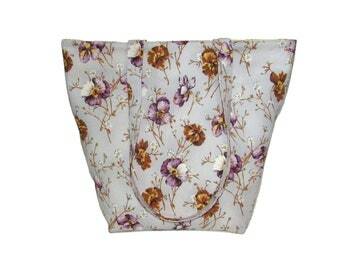 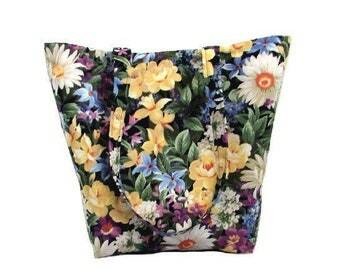 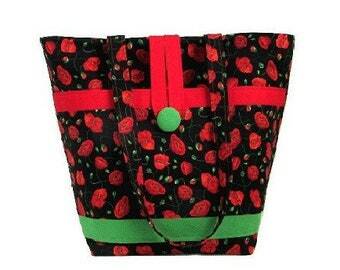 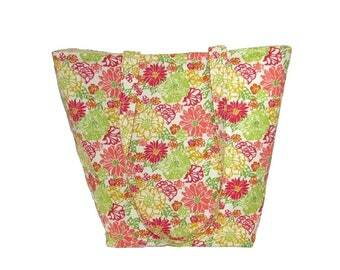 Paisley Tote Bag, Fabric Purse has Colorful Paisley & Flowers. The colors are Burgundy, Red, Blue, Gold & White. 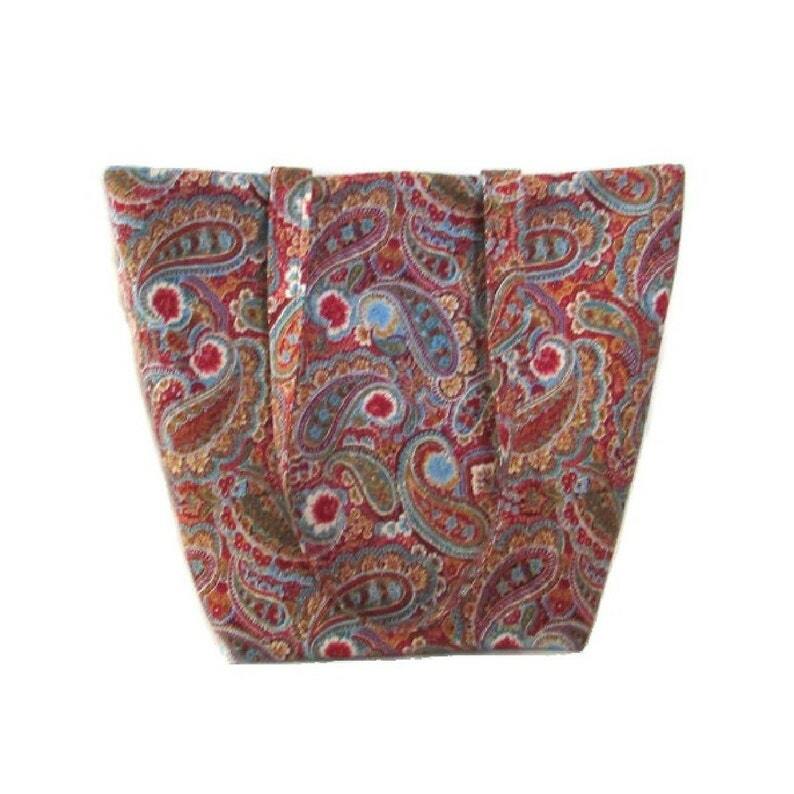 This Handmade Handbag is fully lined in Blue, has 5 slip type Burgundy Red pockets, 2 Handles that match the outside fabric & a Magnetic Snap Closure.